We’d love your help. Let us know what’s wrong with this preview of Children of Quaezar by S. Rose. To ask other readers questions about Children of Quaezar, please sign up. “Song of the Manatee: Children of Quaezar” by S. Rose is a beautiful fantasy novel that concludes her first book in the series, “Song of the Manatee: Aria of Light”. It is an Aria of love for nature in a futuristic battle of good versus evil. Aliens, a time portal, interference with the future and nature are some of the main themes in this often philosophical and moral tale about man’s relationship with the earth and its treasures. 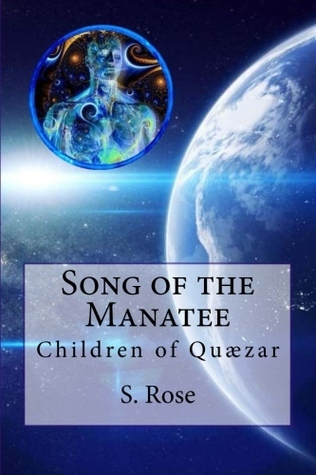 Nobody can deny the dangers that humans bring to Earth and to othe “Song of the Manatee: Children of Quaezar” by S. Rose is a beautiful fantasy novel that concludes her first book in the series, “Song of the Manatee: Aria of Light”. Nobody can deny the dangers that humans bring to Earth and to other species and Rose has created an intelligent and fascinating fantasy story that reflects on those dangers. This being the second book of two makes it hard for me to tell you too much about the exact plot without giving away what happens in book one, in case you haven’t read it, yet. Although it is possible to follow the story of book two on its own, I would recommend reading both in order, just for pleasure and entertainment value. The setting is still largely the Florida of 2199, a world completely ruled by a central government through highly evolved technological control, a world with some positive and some not so great advancement. Palaeontologist Michael Black and his family were suspicious to the authorities for many reasons. Michael was involved in underwater research and suddenly disappeared, as did his daughter Swan, leaving the mother of the family now under tough investigation by the ruthless authorities, personified by some very nasty characters. Fortunately it isn’t all bleak because there are some other storylines with wonderful new and old out-worldly figures in this book; the encounters with them (Neb and Moon) I found particularly enjoyable. Those scenes and creatures were written with such obvious love and amazing originality - Rose has a great imagination and skilfully translates her inspired visions onto the pages. The author tells the story of a cast of humans and other beings who have respect and care for the Earth and who fight to rescue what they can in an evolved and clever plot of time-line logic. The Black family is a loving, intelligent and conscientious unit with great values and vision for the future of the Earth. As in book one, the story shines through its winning combination of responsible ecological thinking, humanitarian values and beautiful magic within the context of a well written futuristic and science fiction story. Great characterisation and ornate scene setting contribute to the quality of the novel which uses a skilful blend of traditional sci-fi tools with magical fantasy writing. This is the third book I’ve read from S. Rose. I was hooked by the end of her first novel. Her style of writing is such an extraordinary gift, nourishing the very stories she tells. “Song of the Manatee: Children of Quaezar” is the second book in a series. This story carries readers on a journey through a futuristic world in the year 2199. Rose dazzles readers with tales of time warps, a love for nature, and some deep themes dealing with the age-old battle between good and evil. An all intrusive This is the third book I’ve read from S. Rose. I was hooked by the end of her first novel. Her style of writing is such an extraordinary gift, nourishing the very stories she tells. “Song of the Manatee: Children of Quaezar” is the second book in a series. This story carries readers on a journey through a futuristic world in the year 2199. Rose dazzles readers with tales of time warps, a love for nature, and some deep themes dealing with the age-old battle between good and evil. An all intrusive government has gained full control of the world by 2199, and when paleontologist Michael Black gets too close to secrets that government wishes to keep hidden, he—along with his daughter Swan—vanishes, leaving the family matriarch to deal with the darkness that only an all-knowing government can dish up. The story itself is fantastic, fascinating, and at times mind-blowing. Rose has done her research in crafting this story, bringing the characters and scenes to life in ways that only true storytellers can. I would suggest a read of the first book in the series, “Song of the Manatee: Aria of Light,” before taking up with this one—though this book truly does stand on its own. This is a wonderful story by an author with whom everybody should become familiar.